We now have tools we can use to search on the Web for the minutest details of suspected fraudsters. Use Google Alerts, social network sites, financial and relational blogs, classified and auction sites, plus new targeted search engines to find evidence that will stick. The U.S. Sarbanes-Oxley Act and its Auditing Standard 5 requirements primarily address fraud that could cause a material misstatement in a company's financial documents. But companies are losing thousands of dollars in undetected "sub-material" fraud. When we hear of Michael Chertoff, many of us think of travel restrictions at the airport, illegal immigration, the war against terrorism, or hurricanes. 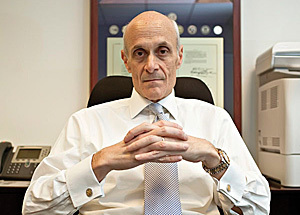 But few know that long before he became the second secretary of the U.S. Department of Homeland Security, Chertoff got his start by tackling corporate fraud, political corruption, and organized crime.